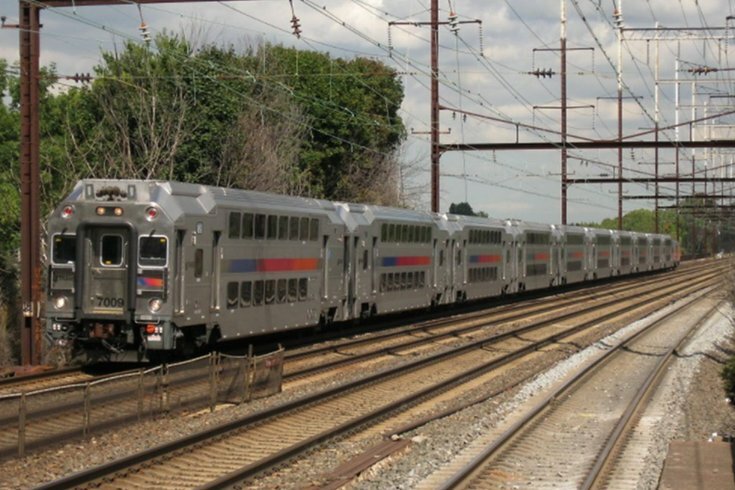 One person died and another was hurt after an NJ Transit train struck a car in South Jersey on Friday afternoon, according to a report. A train on NJ Transit's Atlantic City Rail was traveling toward the Jersey Shore resort when it hit the car as it crossed the tracks at Line Street in Hammonton at around 4:30 p.m.
NJ.com reported on Friday night that one person in the car died, and another was airlifted to a nearby hospital. Service along the line was temporarily suspended in both directions between Atco and Egg Harbor Township. Bus service was provided for riders during the suspension, and River Line light rail service cross-honored tickets. Atlantic City Rail Line service is temporarily suspended in both directions between Atco and Egg Harbor due to a motor vehicle being struck by a train near Hammonton. Service resumed a few hours later Friday night, officials said. Atlantic City Rail Line service has resumed between Atco and Egg Harbor following an earlier motor vehicle being struck by a train near Hammonton. Patco will continue accepting NJ Transit Rail tickets and passes for the remainder of the service day. Officials have not released any further information on the occupants of the car.